What Are British Standard Locks? If a lock shows the British Standard Kite Mark, it means that it's been certified by the British Standard Institute for meeting the required security standards. Bi-fold Door – The bi-fold door folds in on itself, rather than the door swinging out or inwards. This is a useful space saver. Front/back door – These can be purchased in a variety of styles. Patio Doors – Traditionally used in porches and conservatories, they allow lots of light into a property, owing to the fact that they are mostly glass. However, they can have up to four panels depending on the style that you would like. French Doors – French doors are similar to patio doors, but generally have more panels than the latter. They may be full or half glass. There are several forms of UPVC door locks, which can be found with a number of different handles. uPVC or Composite Door's need a Euro Profile Cylinder that works in conjunction with a multi-point lock. 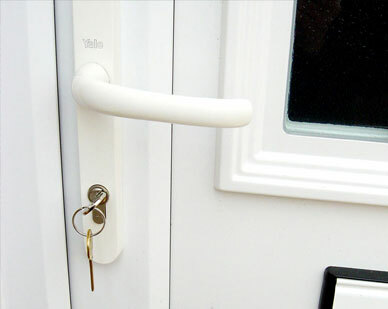 Euro Profile Cylinder – Cylinder Locks are a vital part of wooden, composite and uPVC doors. Euro Cylinders can be used with multi-point locks and mortice locks. Unfortunately, Euro Cylinder Profile locks have been at risk of lock snapping. It’s therefore important to ensure your euro cylinder is British Standard and has a three star rating. Alternatively, you could have a one star cylinder with two star door furniture (e.g. handle) attached. 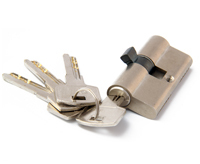 Our locksmiths can easily replace or upgrade your cylinder locks to anti-snap, anti-bump and anti-pick. Multi-Point Lock – Multi-point locks are locks providing an extra level of security because they have multiple locking points. They commonly include a deadbolt, hook and a small hook. To improve the security of your property and to defend against lock snapping we can upgrade your locks to British Standard Profile cylinder that are anti-pick, anti-drill and anti-bump. If you need the locks changed or upgraded on your uPVC door or if you are having problems locking your doors then give us a call on 0800 0612 677. Fast Response. Give us a call and we can usually be with you within an hour. 24 Hour Service, 7 Days a Week. We're on call 24 hours a day, 7 days a week for all locksmith services. Our Locksmiths are DBS (Previously CRB) Checked. 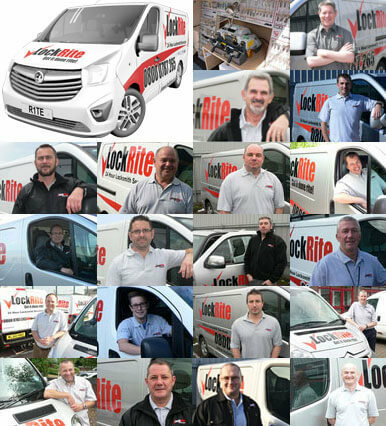 All our locksmiths are DBS checked (previously CRB) so you know that you can trust us. No Call Out Charges To Pay. We won't charge you a call out charge for our visit.